If you’re moving to another country, you might not realize all that’s going to go into it. Even though you hear about people moving to other countries or overseas for a change of pace or work all the time, most of us don’ have any idea about the reality of such; an undertaking and shipping your luggage is no small task if you’re not familiar with the process. When you add that to the time and money it often takes to make a move such as this, the rules and regulations of getting your items to another country can be daunting at best. Sending your luggage through Domestic shipping, Cargo shipping, International shipping may sound scary if you have not considered sending luggage before. You may have a wealth of unanswered questions about how luggage should be contained, where it must be picked up, how it will be watched, what it will cost and more. The good news is that these frequently asked questions about shipping luggage; come to the minds of people who have head of this smart service and are interested in using it. What is more, even those who have sent luggage in the past; may still have questions on what benefits can be ascertained by shipping one’s luggage to the destination rather than carrying it on. Here are some frequently asked questions, and important answers you need to know to make the choice to ship luggage in the future. Q: What is the advantage to shipping versus carrying on? A.There are many advantages to sending luggage, ranging from freedom to board transportation without having to process luggage to the guarantee that luggage will arrive on time and without damage. Q. I travel often, is shipping luggage an option for me? A. 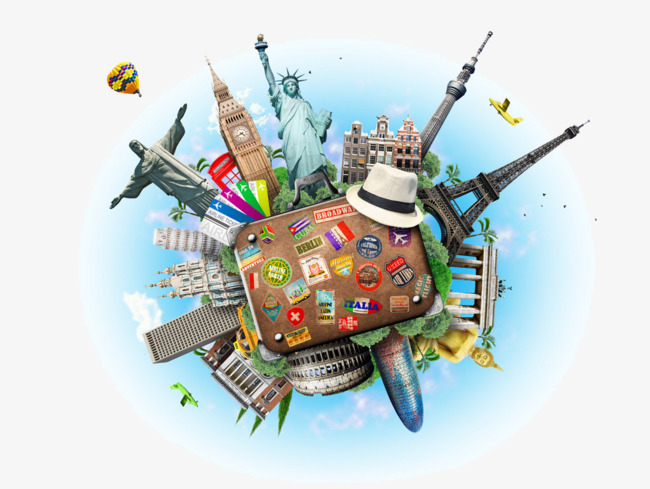 It does not matter if you are a frequent flyer or occasional passenger; shipping luggage is available on a regular basis to more than 300 countries and territories around the world. Anyone from student to retiree can take advantage of traveling without toting heavy luggage along. It can be through Cargo shipping, Domestic Shipping, and international shipping. Q. Can unattended baggage be picked up for luggage shipping? A. Absolutely! When you chose one of the top shippers, the professionals who ship your luggage understand that people have busy schedules. Luggage can be picked up from an unattended location such as inside a door, or garage as long as it is left where it is secure. Q. Is shipping luggage expensive? A. The choice to ship luggage rather than pay additional bag fees is very economical. Additionally, shipping luggage requires no special tagging or securing luggage beforehand. Just pack your things as you normally would, and make arrangements with shippers to take advantage of the most cost-effective and practical shipping for your luggage. Q. Where is my luggage kept when not in transit? A. There are secure locations within ports where shipped luggage is kept if pick up is arranged. These locations are manned and have 24-hour surveillance on luggage. Luggage is kept in storage arrangements, also it is safe from outside elements such as weather and secured them theft. 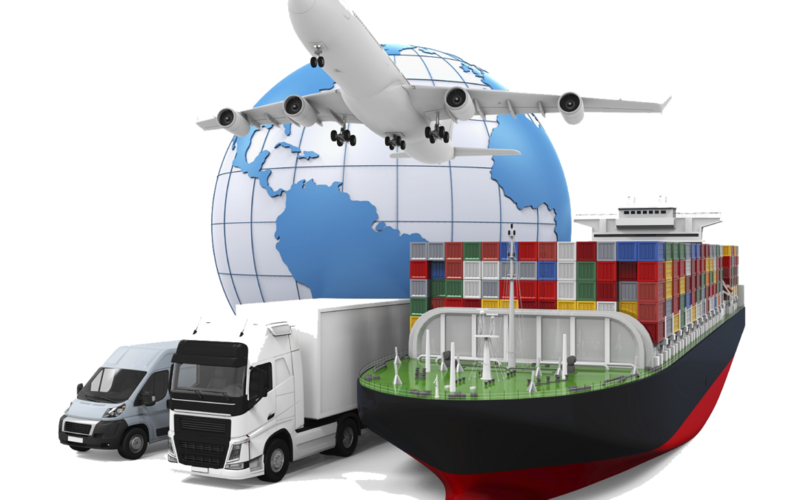 Domestic shipping deals with the transportation of goods from one location within a country, to a different location in the same country. Domestic shipping can cover relatively short distances, such as the transportation of goods from one city to a neighborhood city, or it could cover much greater distances, such as transporting goods from the East Coast to the West Coast. Those who are doing domestic deliveries may chose to do their deliveries by road. This is not to say that international shipping cannot be done by road. The term International Shipping is used to refer to the transportation of goods from one country to another country. Like with domestic shipping , the distances traveled in international shipping can very hugely. Although goods may only be transported a few miles, from one border town to another, it is still international shipping. Those who need international shipping will regularly choose ocean shipping or air freight shipping. Cargo shipping is a great way to store goods, ship them to other places and provide transportation for bulk orders. Shipping containers are available in different sizes and make , which depends on your requirement. If you are looking to work in this business, then you will need to buy a ship for providing your services. Whether you chose Cargo shipping, Domestic shipping, International shipping for shipping luggage that you don’t want to fly with, you’ll find that the rates are reasonable and the service is better than any you ever thought you would get. You can feel confident in your decision and rest easy that your luggage will arrive safe and sound when you choose to send your luggage. There are professionals who walk through every step of the overseas or international shipping process. Shipping luggage is a great idea for many people, and if you worry that you’re going to have too much to put on the plane with you, it might be time to consider an alternative. Trust the exports; who will walk you through all the paperwork, and the whole process and feel comfortable with knowledge that you can track your baggage every step of the way, so you know when and where to expect you precious cargo. The overseas marketplace will be an extremely moneymaking business market. Many small businesses tend to remain far from the overseas market as a result of they’re not conversant in the shipping method. When a business acquires knowledge about shipping products overseas, they will find it is much easier to tap into a huge market. Shipping service overseas has a number of different features than regular domestic shipping. In order to take advantage of the overseas market, one has to be to aware of the aspects involved with shipping products overseas. The key to finding the best overseas shipment method is to do your homework. There are a number of ways one can ship their products overseas such as USPS, UPS, FedEx, and companies that specialize in shipping items overseas. Because some companies overseas are cheaper than others, it is important to compare shipping prices and how each company transports their products. You may be able to negotiate volume discounts with a shipping service for certain types of shipments. When packaging a product for shipment, it is important that the package is packed properly in order to minimize damage. When shipping items overseas, packages pass through many hands so a well-packed item will help avoid damage. The package should have the correct labeling to help avoid disruption in shipment or lost shipment. You must also have the proper documentation that meets your country’s requirements as well as the receiving country’s requirements. Typical documentation includes air waybills, bill of lading, commercial invoice, consular invoice, certificate of origin, NAFTA certificate of origin, inspection certification, dock receipt and a warehouse receipt. destination control statement, and shipper’s export declaration. You should also make sure that the item is insured against damage and loss. When packing the item, conceal the identity of the content and make sure the item is in compliance with environmental and safety standards. Pack in strong and well-sealed containers. Label the boxes clearly. Do not pack any materials that are on a countries import prohibited list. This can include such items as weapons, pesticides, flammable products. Ect. Each country has a list of prohibited items. Make sure that you check the list before you ship your package. Basically, you should hire a specialized company to ship your products. Prices and services can vary from company to company. For instance, some companies moving overseas may use different shipment routes. When looking for a company to send your products overseas shops around and don’t hesitate to ask a lot of questions. A little knowledge and research can open up a huge new market for your business. Shipping a car overseas could be a common necessity for families and people moving overseas. However, international car shipping is expensive, and therefore the method is grueling. Therefore, shipping cars with a low appraised value is not necessarily a good idea, as shipping may cost more than they are worth. Shipping a car to or from one country to overseas involves many regulations and requires filling out some paperwork. Through all countries have different requirements for accepting vehicle imports, many share common traits. Except to pay a tariff for importing the vehicle, which can cost anywhere from 20% to up to 90% or more of the value of the vehicle for used cars. Older vehicles, in particular, have higher tariffs assessed against them. In addition, countries may also assess other excessive fees for registration and licensing. Many countries will no accept imported vehicles over a certain age. This usually applies to vehicles 20 years old or older. However, extreme examples also exist-China no accepts the importation of vehicles over a year old. Most countries also require extensive inspections of vehicles. All cars, trucks and SUVs must be in a good working order, and strict emissions tests are often applied. The vehicle must be owned by the shipper, or the shipper must have written permission to transport the vehicle out of the country by the owner. In many cases, people will not be allowed to transport a car out of the country if they are still making payments on it. Various countries, such as the United Kingdom, drive on the left-hand side of the road. They almost always ban vehicles with the steering wheel on the left side of the car. Usually, an official agency will be required to spray vehicles with pesticides to eliminate any insects on board at the cost of the shipper. Because of the complexity of shipping a car overseas, and each country’s individual requirements differing so drastically, many people choose to hire international car shipping companies to handle the process for them. For people that do decide to ship a car overseas, there are a variety of methods to accomplish this take. Before shipping can commence, the vehicle will need to be driven or shipped to the port of the call. From there, most customers need only to choose from one of two main car shipping option: freight shipping and container shipping. Freight shipping is the most common method used to ship cars internationally. Its popularity is due to it being both simple to arrange and inexpensive. Roll-On/Roll-Off shipping involves driving a car up a loading ramp and parking lot on board the ship. Vehicles are driven off at their destination in a similar manner. Shipping containers are a more expensive way ship cars internationally. Shipped cars are placed into large storage shipping containers and loaded on-board a cargo ship, frequently with the use of a crane. Damage is slightly less likely to occur to vehicles using this method of shipping. Large semi trucks and other commercial trucking equipment may need to be placed on board via a crane, as they most likely won’t fit inside shipping containers. Once a shipping method has been chosen and all the preparations have been accounted for, cars and other vehicles can safely ship to another country. There are some important rules that you need to know if you are thinking of shipping your Car or just about any kind of vehicle to overseas. Make sure that you understand the rules of the shipment so you can avoid costly fees and troubles in the long run. Learn about the vehicle shipment rule of the country where you intend to take your car. Usually, there are ages and types of vehicles that are allowed to enter a country. In every vehicle shipment, there are specific rules to follow, taxes, tariffs and duties that the car owner has to deal with. Check the requirements for importing and exporting vehicles from the Department of Homeland Security US and Border Protection. The agency regulates all the goods, including vehicles taxes and duties. Be sure to use only a reliable and experiences international mover. Usually, professional international movers will handle every aspect of the move and these include custom clearances, clearance requirements, and accomplishment of the different international rule. And since every country has its own shipment rules, reading and understanding these laws will help you reduce any troubles of shipping your Porsche or any other vehicle abroad. Be sure to only use a shipping company that is licensed from the place where you are to ship your vehicle moving overseas. The website of the Federal Maritime Commission will be able to help you out. There are so many important things that a vehicle owner has to do to ensure that his vehicle is prepared for international transport. First, the vehicle should not contain potentially hazardous materials and this includes gas and the car battery. You should drain the gas from the engine and disconnect the battery terminals from the battery. Be sure to find out the important documentation that you may need to submit to be able to allow you to transport your vehicle moving overseas. All sorts of important documentation are needed like the original title or deed and registration. Rules in shipping a car abroad could change without you knowing and this is not just about local laws but also maritime laws and from the country you are shipping to. Be sure to plan ahead, preferably a month or two, so you won’t overlook any shipping laws and updates. 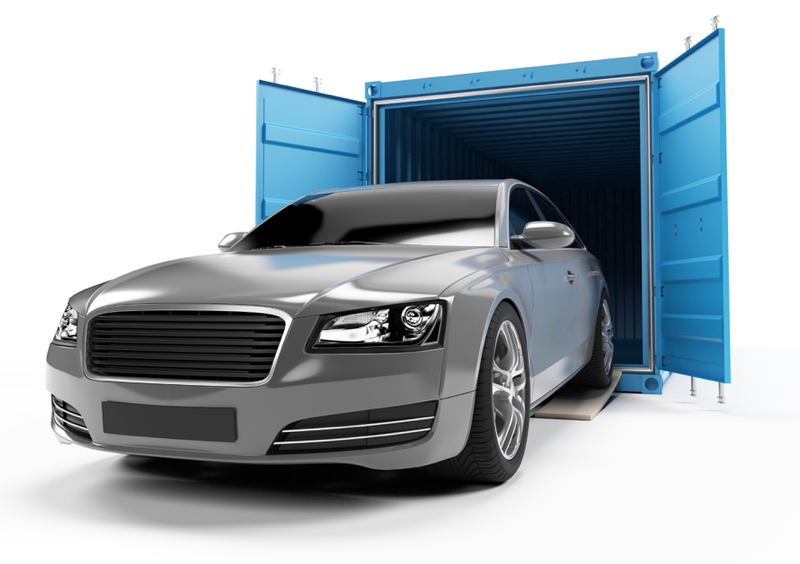 Although shipping a vehicle overseas through shipping containers may look complicated, the above guidelines ensure that all the important details of shipment are followed so that you can get your car wherever you want it to be. These guidelines also ensure the safety of transporting cars since there is a huge risk of an accident when one transports his car internationally. Logistic companies have years of and trouble free for those who are intimidated by the process.